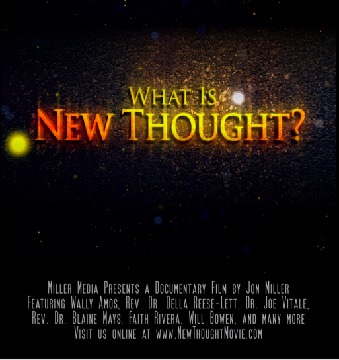 Take a look at this new documentary which gives an overview of the New Thought Movement. Although its influence has been widespread throughout our culture, most people have little knowledge about this far-reaching spiritual movement. From the self-help industry to Alcoholics Anonymous and from Oprah Winfrey to the Word-Faith movement, the principles of this New Thought movement have been instrumental in transforming the lives of millions of people. Now get a closer look at how New Thought has had an impact in our world. Featuring many great New Thought teachers and speakers such as Wally Amos, Dr. Joe Vitale, Rev. Della Reese-Lett, Rev. Dr. Blaine Mays, Faith Rivera, Will Bowen, Rev. John Waterhouse, Rev. Harry Morgan Moses, and many more. Visit www.NewThoughtMovie.com for more information about the film.